Creating girl dress design with free templates and examples. Girl dress design has never been easier. Fashion can change on a dime, evolving almost day-to-day. The fact that fashion changes so rapidly as time goes on makes dress designers headache. Dress designers have to draw lots of clothing designs on paper to follow the fashion trend which costs plenty of time. 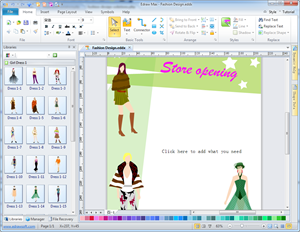 Our girl dress design software is a good assistant for you to design party frocks, play-all-day pinafores or wear-with-anything denim, etc. Girly-girls, tomboy athletes, bookworms, budding artists and more can find their favorite dresses in our girl dress design examples and templates. 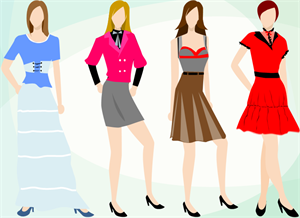 Learn Woman Dress Picker for Parties to get more details. Read complete man suit style guide to get more information. 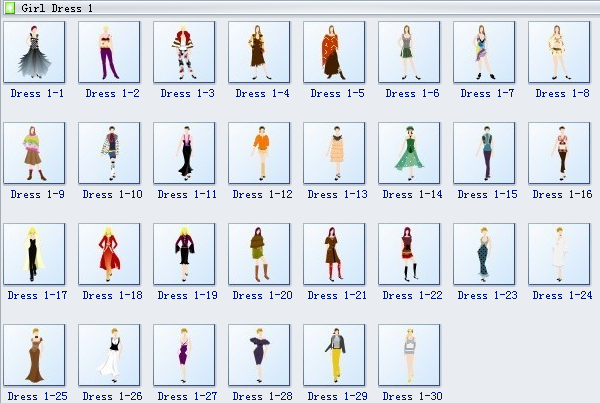 Edraw provides you many girl dress design templates, which you can just drag and drop to your drawing. You can also rearrange them to get the dressing style you like. This fast and easy software allows you to create good-looking and fashionable girl dress designs in minutes. Edraw girl dress design templates offer you lots of beautiful girl dress designs. No matter whether you are dress designers, fashion icons, party animals, tomboy athletes, etc., you are bound to love our girl dress design software. You will surely experience the fun of the designing the dress of your own style with our girl dress design software. A beautiful girl dress design is ready to use in vector format for your own designs. 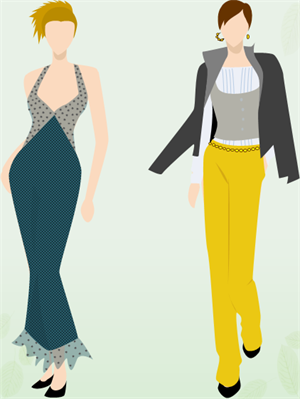 A good-looking dress design is ready to use in vector format for your own designs. 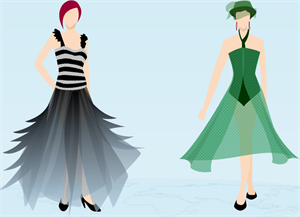 An attractive girl dress design is ready to use in vector format for your own designs.